Program sponsorship at the Hispanic Society of America offers significant philanthropic and marketing opportunities. The benefits we provide to the corporations, foundations and individuals who sponsor our programs may include: prominent exposure, access to the museum for private receptions and curatorial programs, complimentary memberships, and invitations to special activities. 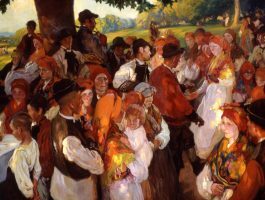 The programs of the Hispanic Society can be sponsored annually or be part of a named endowment. The Development Department will work with you to develop a sponsorship plan that meets your objectives and budget. 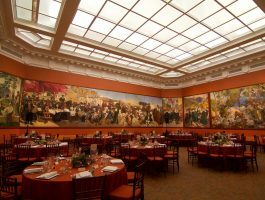 The mission of the Hispanic Society of America centers on the holdings of the museum and library, which is one of the most significant collections of Hispanic art, literature, and culture in the United States. You, your foundation, or your company can underwrite the acquisition of a work, preservation efforts, and research activities. The library of the Hispanic Society serves as a premier center for research, and supports scholarship in the history, literature, arts, and cultures of Spain, Latin America, Portugal, and the Philippines, from the Ancient world to the early twentieth century. The Hispanic Society is delighted to partner with individuals, foundations, and corporations to present lectures and symposia, and to publish catalogues and books. Our Education Department offers free programs and activities for families and children, adults, students, and educators to stimulate their aesthetic and intellectual engagement, and foster their enjoyment of Hispanic arts, literature, and culture. The Hispanic Society partners with schools to support their curriculum by customizing visits to the museum and sending our educators to classrooms. School children can participate in our Music Program, which introduces them to Hispanic music through live performances and music appreciation workshops. Our Cuéntame un Cuadro program engages families with young children through stories about Hispanic art and culture that are inspired by the works in our collection. Every Saturday our museum educators offer tours of the collection. We also present monthly gallery talks by Hispanic Society curators and conservators. We welcome contributions to any of these programs, and to specific activities such as lectures, seminars, and art workshops. 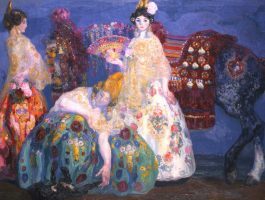 From its inception, the Hispanic Society has held exhibitions that have made significant contributions to Hispanic arts and culture. Sponsors are able to benefit by having their name displayed prominently on museum promotional material. Depending on the level of sponsorship, benefits may include: logo/name credit in all exhibition materials, signage, press releases, website and e-mailings; complimentary VIP tours; and the opportunity to host private receptions at the museum. The Hispanic Society Concert Series offers free concerts that feature the works of acclaimed Spanish and Latin American composers. The series includes recitals, chamber music, and early and modern music ensembles. Your contribution can support one or more concerts, or the entire concert series for one year. 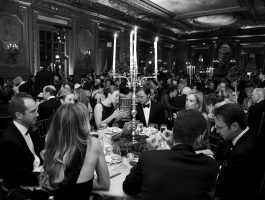 The Hispanic Society seeks underwriting for its Annual Gala. Click on this link to learn more about this event.